After reading an article in the New York Post, today we wanted to set aside the theatre and discuss something even more important in our lives. No, not the musical. But actual cats. We have four of these lovable and amazing creatures, who bring so much joy to our lives. We have often looked at them and wondered how better to communicate with them and now researcher Susanne Schötz is helping us. She is a professor at Lund University in Sweden and her new book, The Secret Language of Cats, will be released on November 6th. It is translated into English by Peter Kuras and is available for pre-order on Amazon right now by clicking here. And to leave you with a bit of cuteness during all the political ugliness right now, we thought we’d share some pictures of our four cats. Their names are Dorothy Parker (we got her at the Algonquin Hotel), Ondine, Juliet, and McClain Stevenson. Today we want to tell you about a book that we absolutely love! It’s called An American Theatre: The Story of the Westport Country Playhouse by Richard Somerset-Ward. It has a forward by Joanne Woodward and Paul Newman. We are absolutely amazed by this book because it has thousands of details about the Westport Country Playhouse. We cannot imagine how anyone could have found so many events that happened over a 70-year period! 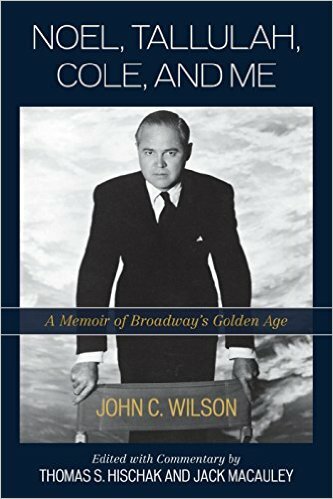 It even tells a story about how one certain Philip Langner forgot his lines in The Girl of the Golden West, which starred June Havoc! While we certainly have an emotional tie to the Westport Country Playhouse, we think that anyone interested in theatre or theatre history will appreciate how detailed this book is about the story of summer theatre from the second oldest summer playhouse in the country. Westport was wonderful—the most fun we’ve ever had!